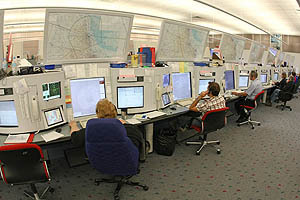 Today is the International Day of the Air Traffic Controller. I would like to acknowledge the contribution of the profession of Air Traffic Controllers to the safety of our aviation industry. Throughout my career I have trained, developed and worked along side this band of professionals who make pilots like me and my friends look good. control civilian and military (air intercept controllers) aircraft. The safety of our skies relies upon the skill and expertise of our Air Traffic Controllers to sequence our operations, optimise our performance and keep us separated. Pilots and controllers work together as a finely tuned team – the teamwork is exceptional. So on behalf of the 2.8 billion civilians that flew in 38 million flights last year (or about one million civilians in the air at any one time), congratulations and thank you to Air Services (Australia), EuroControl (Europe) and all other ATC agencies that have made our profession the envy of the world’s safety professionals. Gooday Richard, thank you for the acknowledgment of our profession on your website. So often passengers hear derogatory comments from flight decks about so called ATC induced delays when in fact the delays are often just a symptom of how popular airline flight has become and how congested our skies and airports are. Please let folk know that Air Traffic Controllers are not the blokes with the ping pong bats 😉 Regards, Drew.